Sean Kelly Gallery is delighted to announce that we will be exhibiting at Art HK 11, the Hong Kong International Art Fair. This is the first time that the gallery will participate in what has undoubtedly become the premiere and most important art fair in Asia. 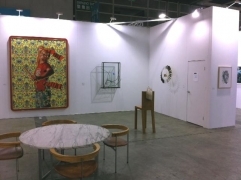 Our active participation in Art HK 11 marks an important and exciting step for the gallery as we develop and strengthen relationships with artists, museums, collectors and galleries in Asia. 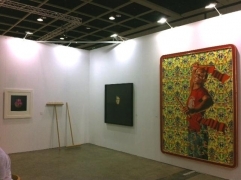 The art fair is taking place in Hall 1 and 3 at the Hong Kong Convention and Exhibition Center located at 1 Expo Drive, Wanchai, directly in front of the Grand Hyatt Hotel. The gallery's carefully curated booth will showcase major new works by Marina Abramović, James Casebere, Rebecca Horn, Tehching Hsieh, Callum Innes, Wolfgang Laib, Robert Mapplethorpe, Frank Thiel, Gavin Turk and Kehinde Wiley. For additional information please visit www.skny.com or contact lauren@skny.com if you have any questions.